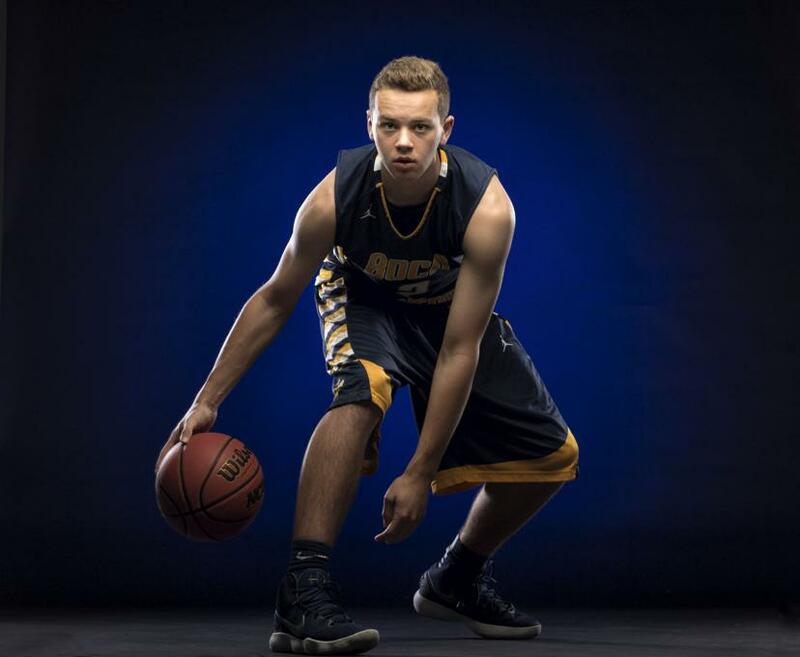 2017-18 #PBCHOOPS Public Schools Player of the Year is Boca Raton Community High School's Cade Long. Cade Long, four year varsity player for the Boca Raton Bobcats, capped of a stellar career and along the way racked long list of awards and accomplishments which included eclipsing the 1,000 point career scoring mark, Palm Beach Post Player of the Year, Sun-Sentinel Player of the Year, Florida Class 9A All State Team selection and Runner Up for Florida Dairy Farmer's State Class 9A Player of the Year. All accolades aside Long produced on the court and in the classroom. Finishing the season averaging 25.6 points and over 5 rebounds per game all while maintaining a 5.2 GPA, being a member of the Navy JROTC, National Honor Society member and receiving countless academic awards. Therefore it's no coincidence that Cade will be continuing his education and playing career at Rollins College in Winter Park, FL next fall.